VANCOUVER – Metro Vancouver’s submission to the nine-member advisory committee appointed to recommend ways to revitalize the Agricultural Land Commission and the lands it oversees has put the issue of farmhouse size at the top of its wish list. The submission, presented to Metro Vancouver’s regional planning committee by Theresa Duynstee, was set to go to Metro Vancouver’s board for final approval April 27, three days before the review committee wrapped up its public consultation. It adds that new provincial legislation could allow farm worker housing within the designated home plate. The request effectively pleads helplessness on a matter that Premier John Horgan has said falls squarely within the jurisdiction of municipal zoning bylaws. The difficulties municipalities face have played out most dramatically in recent years in Richmond, which moved to restrict farmhouse sizes within the ALR last year. Council established an initial limit of 10,764 square feet last May, more than farmland advocates wanted but respecting the concerns in the farm community. Critics took advantage of a six-month review of the bylaw to press their case for a size in line with provincial guidelines, which recommend a house size of 5,382 square feet. The review attracted 200 people to three open houses and garnered 525 written submissions. The process reflected a sharp split between farmers and non-farmers, with 93% of farmers opposing a reduction in house size and more than 60% of non-farmers supporting a reduction in line with the provincial recommendation. Speaking to council on March 26, Ben Dhiman of the Richmond Farmland Owners Association expressed concern at further limits on farmhouse size. The problem isn’t with home size but how the land is used, and he presented several examples of large homes surrounded by productive farms to underscore his point. Laura Gillanders, a farmland advocate, told council that by not placing further limits on farmhouse size, it would continue to facilitate speculation. She pointed out that 16 applications for homes averaging 9,910 square feet had been received in the first three months of 2018. However, contractor Eddie Tang, speaking on behalf of Chinese landowners, said many of the property owners he works with “have an emotional investment in the farming practices of the land.” The owner of 9431 No. 6 Road, for example, spent more than $200,000 replanting blueberries on the property. Richmond council ultimately directed staff to draft a new bylaw reflecting the smaller house size for first reading in April; the bylaw had not been presented at press time. The issue of monster homes isn’t restricted to Richmond. 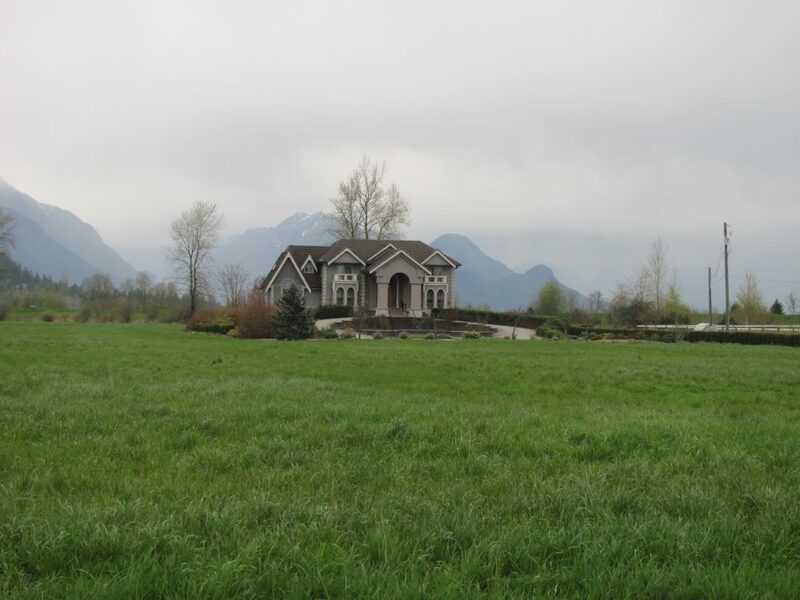 Pitt Meadows has also faced challenges restricting the size of houses on protected farmland within its boundaries, and Chilliwack staff took several months to draft appropriate legislation before a bylaw passed last year. Meanwhile, regional governments in the Peace have seen an increase in quarter-section estates that are home to mansions in the middle of farmland that sits fallow. Restrictions on farmhouses isn’t the only recommendation Metro Vancouver is making to the province. It is also asking the province to reform the tax treatment of farm-class properties to penalize negative uses rather than just recognize land that’s actively farmed. “Tax reform that penalizes unwanted behaviours is a vastly underutilized tool for discouraging inappropriate land use in the ALR,” the submission states, recommending that non-farm activities within the ALR trigger similar tax rates to the same activities located in urban areas. The submission also recommends treating farms with less than $10,000 gross sales differently from larger ones, similar to what Quebec does. Metro Vancouver claims the change would accommodate both commercial and hobby farmers while taxing them in a manner that reflects their contribution to agricultural production. The final two recommendations involve measures to enable “appropriate business development in the ALR that champions agriculture production over the long term,” and covenants that recognize the important ecological services farmland provides.